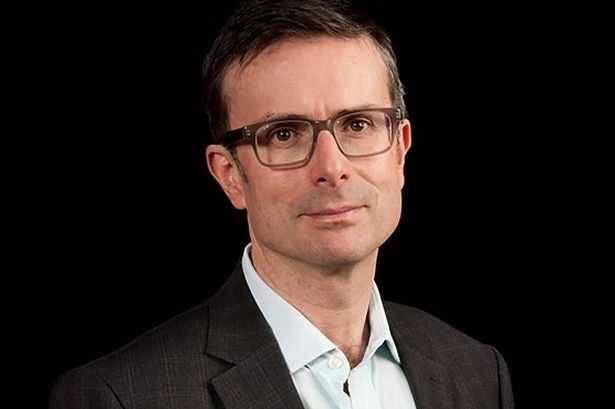 Robert Peston’s first public appearance since his dramatic move from the BBC to ITV will be in Birmingham when he speaks at the Journalists’ Charity’s annual fundraising lunch on October 16. The BBC’s former economics editor is to become ITV’s political editor and present his own political interview programme, Peston on Sunday. He described his nine years at the BBC as “the high point of my working life”. Mr Peston is famed for his coverage of the financial crisis and also broke the story of Northern Rock asking for emergency funding in 2007. His new Sunday morning show will see him up against the BBC’s Andrew Marr in the battle for ratings. During his visit to Birmingham Mr Peston will talk about his career and answer questions at Warwickshire Country Cricket Club in Edgbaston. The lunch has been organised by the West Midlands branch of the Journalists’ Charity, which works to help journalists in need. Mr Peston has won numerous awards for his journalism, including Journalist of the Year, Specialist Journalist of the Year and Scoop of the Year (twice) from the Royal Television Society, Performer of the Year from the Broadcasting Press Guild, and Broadcaster of the Year and Journalist of the Year from the Wincott Foundation. Before joining the BBC he was political editor and financial editor of the Financial Times, City editor of the Sunday Telegraph and a columnist for the New Statesman and Sunday Times. Derek Inman, chairman of the West Midlands branch of the charity, said: “We are delighted to have Robert join us. In 2014 the Journalists’ Charity, which counts Charles Dickens among its founder members, celebrated its 150th anniversary. Since being established the charity has given financial help to journalists who have fallen on hard times. It also runs a care home for retired journalists and their dependents in Dorking, Surrey. The Journalists’ Charity event with Mr Peston has almost sold out but a limited number of tickets remain. They cost £48 each or £450 for a table of 10, to include a three-course meal with a reception drink and tea or coffee. They can be booked via the charity’s website www.journalistscharity.org.uk or at www.eventbrite.co.uk/e/journalists-charity-west-midlands-lunch-with-robert-peston-tickets-16577166752.